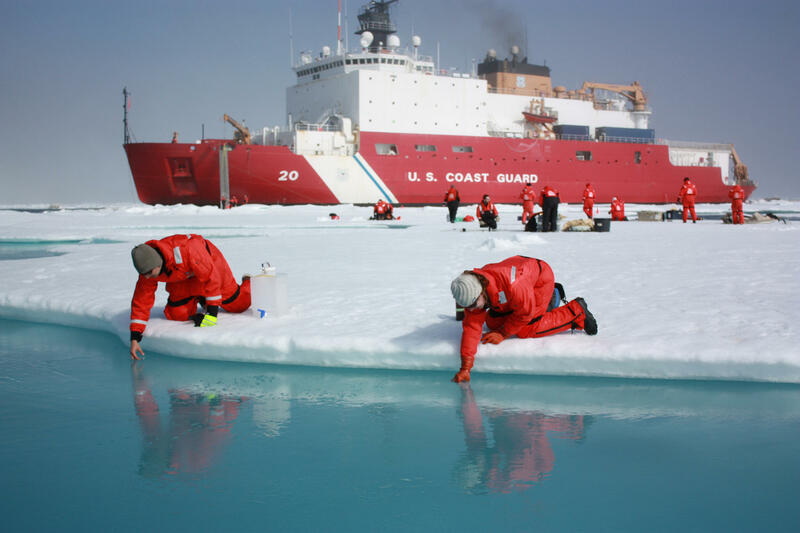 Here, scientists are studying meltwater in the Arctic. A new program aims to help students understand what science looks like outside of Hollywood. It’s 2017. What does a scientist look like? If the first image that popped into your head was an older man with frizzy hair and a white lab coat, surrounded by bubbling test tubes, you’re not wrong — the Einsteinlike “mad scientist” is still a prevailing image in popular culture. But in the real world, scientists are so much more: Just this summer, Science Friday has featured researchers who are developing a bandagelike flu vaccine; studying polar bears from helicopters; and investigating why living in space gives flatworms an extra head. Biologist Sarah McAnulty is on a mission to introduce kids to these kinds of actual working scientists. She’s a PhD candidate studying the microbiomes of squid at the University of Connecticut, but she’s also the founder of Skype a Scientist, a program that uses video conferencing to connect volunteer scientists with classrooms around the world. Emily Green is also a PhD student at the University of Connecticut, where she works in an ant lab. Last spring, she talked with a middle school science class in rural Vermont as part of the Skype a Scientist program. Over the course of the question-and-answer session, she says, she began to see how much they all had in common. The kids were “super into asking questions” about the ants she works with, Green adds. And as they Skyped, she was able to show the students around her lab, pointing out the ant colonies and introducing the kids to other scientists. McAnulty says the program is always looking for more help from scientists and more teachers interested in signing up with their classrooms. “I think it's really important for us to make emotional connections with people,” she says. This article is based on an interview that aired on PRI's Science Friday with Ira Flatow. To find out more about the Skype a Scientist program, or to sign up, head to www.skypeascientist.com.